Sometimes you have a scenario where multiple threads need to read from the same shared collection. We’ve looked at the 4 concurrent, i.e. thread-safe collection types on this blog that are available in the System.Collections.Concurrent namespace. They can be safely used for both concurrent writes and reads. However, if your threads strictly only need to read from a collection then there’s another option. There are collections in the System.Collections.Immutable namespace that are immutable, i.e. read-only and have been optimisied for concurrent read operations. Nothing special there I believe. The System.Collections.Immutable includes an immutable version of all popular collection types: ImmutableList, ImmutableArray, ImmutableDictionary, ImmutableHashSet etc. 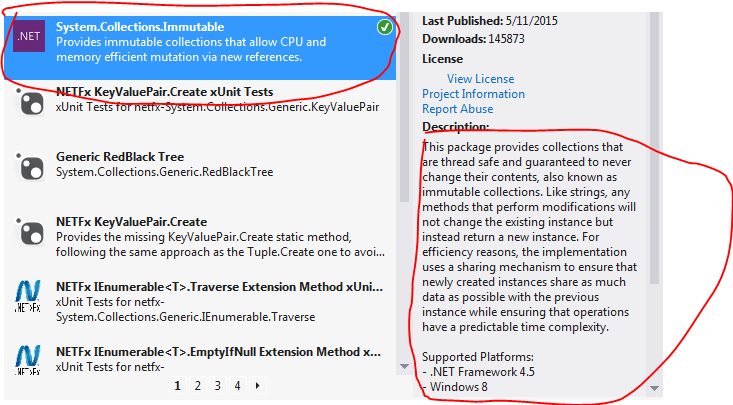 You can check what’s available through intellisense. Let’s see an example of ImmutableList of T.
An immutable list can be instantiated through a static Create method, i.e. it has no public constructor. The Create method accepts one or more objects that the collection will contain. Thread 10 starting to read from immutable list. Thread 13 starting to read from immutable list. Thread 12 starting to read from immutable list. Thread 11 starting to read from immutable list. Thread 14 starting to read from immutable list.